Antique bookcase. 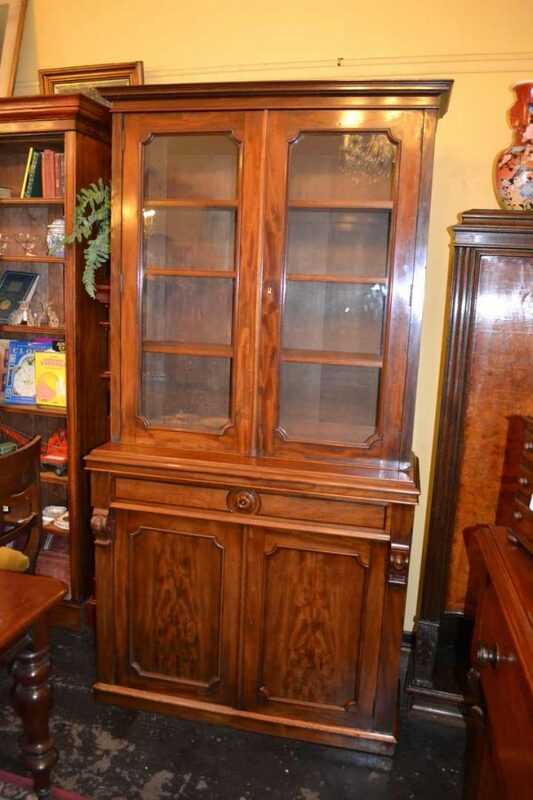 Mahogany and flame mahogany two sectional bookcase circa 1880. Fabulous original faded condition and pleasing proportions. Features include full length drawer to base, glazed doors to top section with adjusting shelves. Welcome to Old Post Office Antiques with many examples of fine, good quality antique furniture at Melbourne’s best value for money antique shop.